Last summer I visited my sister, who is a Roman Catholic nun, living in Switzerland. Her convent sits on the side of a hill, overlooking the city of Brunnen and Lake Lucerne; the setting is spectacular. Next to the convent is a nursing home for the Sisters and next to that building is a school. Perched on the top floor of that school is a magical place. 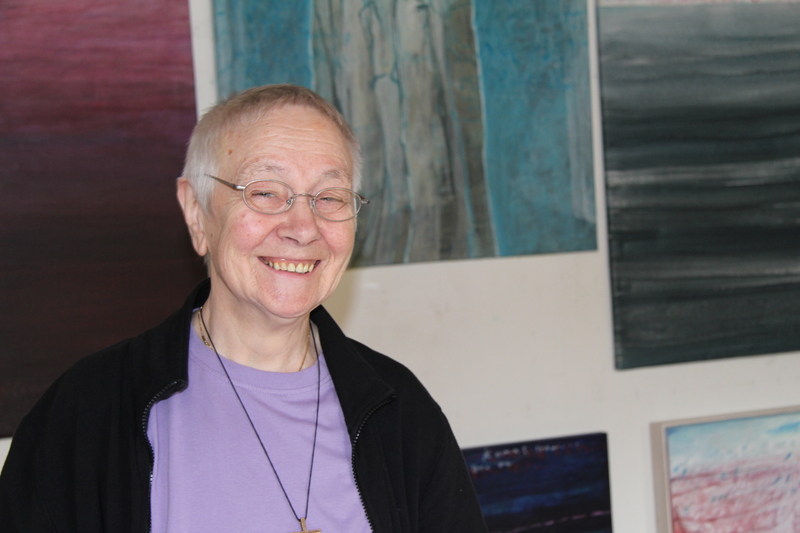 Accompany me into the art studio of Sister Gielia, who was born in Cumpadials, Switzerland in 1937, was professed as a sister in 1963 and has studied graphic design and visual arts at the School of Arts in both Lucerne and Basel. 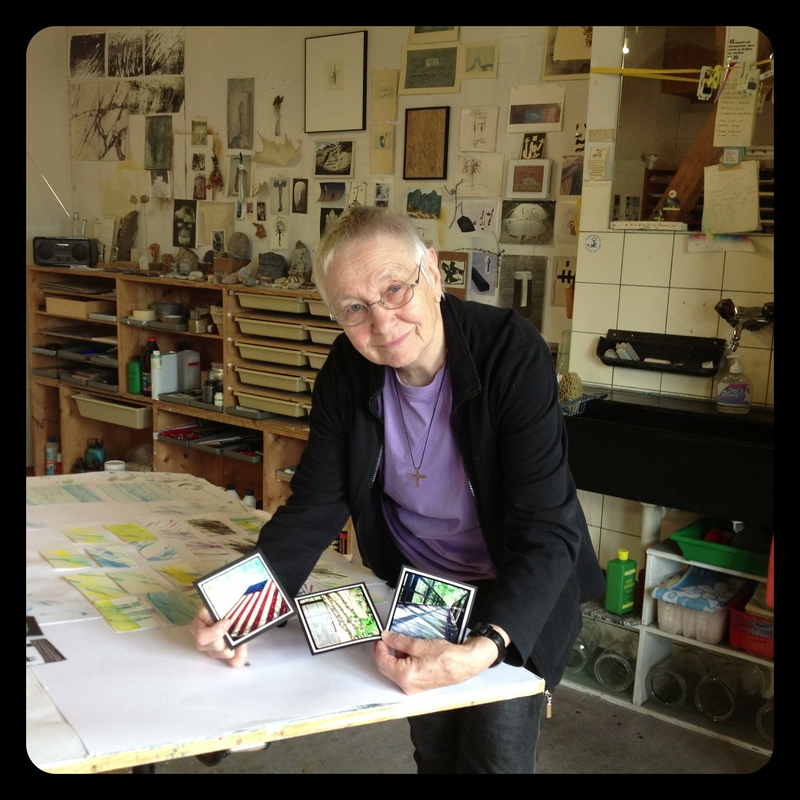 In addition to taking part in study tours in Europe, Egypt, the Orient and the USA she taught art for 32 years at the school that houses her studio, the Theresianum in Ingenbohl, Switzerland. Every once in a while I have the opportunity to set up a studio space in a home that I might live in for a year or two but I’ve always dreamed of having a space that would have the time to evolve into a work of art of its own. 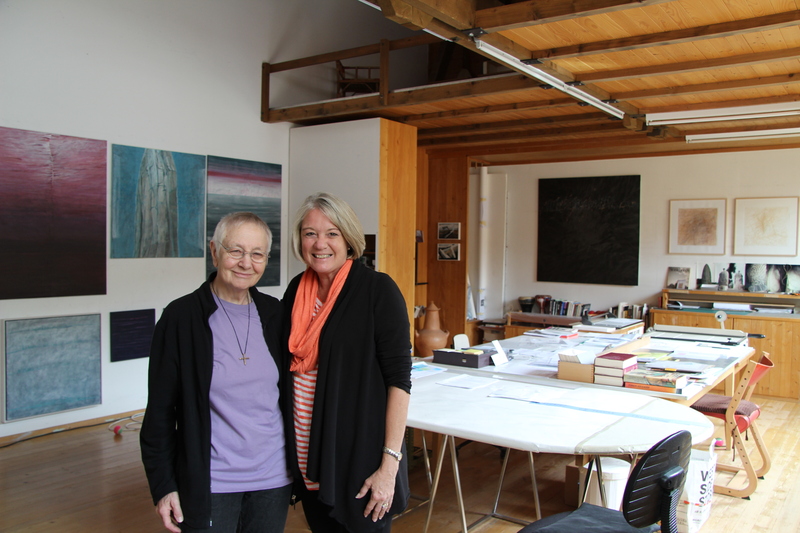 Sister Gielia’s studio is exactly that. In short, it’s a feast for the eye. This is the hallway that lies outside her studio door, gorgeous in itself but in complete contrast to what lies behind the next door. And this is what lies beyond. Sister Gielia’s art is beautifully elegant, employing saturated fields of color and meandering lines, inspired by the natural veins that run through the many stones she has surrounded herself with in the studio. But it is this project that really spoke to me….A Thousand Faces of Mary….one thousand small squares, all depicting the Virgin Mother. All contained in a small acrylic cube. I didn’t see all of them but this small sampling hints at the beauty and magnitude of the work. I brought a stack of my Instagrams with me and although Sister Gielia speaks German and I speak English, our respective art forms created a bridge between us. It also helped that my sister speaks both languages and acted as our interpreter because I’m not sure Sister Gielia would have been convinced that my little iPhone had really produced the images before her. As is my custom, I asked her to choose Instagrams to keep. I’m always very intrigued by the images a person decides to keep as part of their visual lives. I’m even more intrigued to see what catches the eye of another artist. Thank you Sister, for allowing me to look into your world and your art. I wish we had shared a common language and had days to spend together. 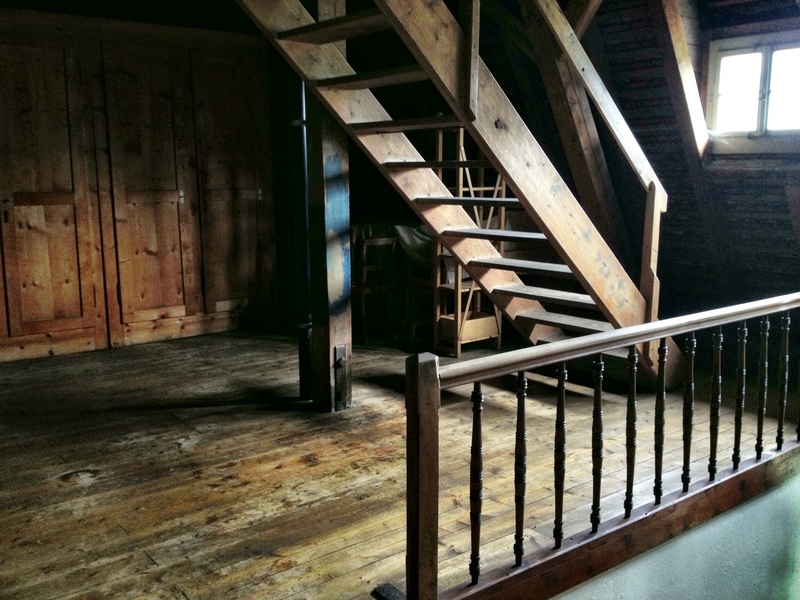 I leave you with a few of the views from her studio, perched atop this school in Switzerland. And, of course, a photo of a larger group of Sisters, all with their own Instagrams! Thank you so much for allowing me to accompany you on this tour. Very heartwarming. Thanks for coming on the tour Catherine! I found this story about your sister and her fellow nuns to be so neat and interesting. Thank you so much for sharing it with us. I would enjoy visiting them if when I get back to Switzerland! Their convent is beautiful Sue, and the town of Brunnen is delightful. Thanks for reading today’s blog! Your studio is also pretty darn amazing Alex! Thanks for reading the blog!